As soon as Ben Fogle could have a dog of his own he chose a labrador, the most popular breed in the world. But why? The dependable labrador is the most popular breed in the world. Ben Fogle is not alone in his love of labradors. Every year, they top the most popular breed polls around the world. So in recognition of the world’s favourite dog, Ben Fogle celebrates the loyal, companionable, honest and ever-hungry lab we all know and love. We and Ben Fogle may love labs, but what is the best labrador colour? A good horse can’t be a bad colour, but does the same apply to labs? They say that behind every great man there is a dog. I say that behind every labrador there is a great man: Ernest Hemingway, Roald Dahl, Keith Richards, Kevin Costner, Sylvester Stallone, Arnold Schwarzenegger to name just a few. They also appeal to politicians; Bill Clinton, Henry Kissinger, French presidents Mitterrand, Chirac and Sarkozy, Vladimir Putin and even Romanian dictator Nicolae Ceausescu have all been on one end of our favourite breed’s lead. I’m not in the same category as any of the above but for me, Ben Fogle, my life has also been gently steered by the labrador. The son of a vet, I was surrounded by creatures great and small – parrots, rabbits, guinea-pigs, cats and, of course, plenty of dogs. We were a golden retriever family and I grew up with a succession of blond dogs. When the opportunity came to get one of my own there was never any doubt that it would be a black labrador. I suppose it was a combination of aesthetics (boxy) and temperament (dependable) that appealed. I used to equate them to a Land Rover but in all honesty they are probably nearer to a Volvo. 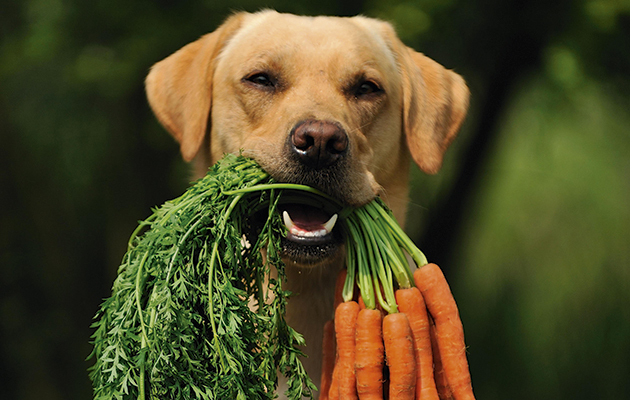 Their love of food makes labradors trainable. I wasn’t looking for a working dog but a friend, a companion. I think we subconsciously choose a dog as an extension of who we are or want to be. People are said to look like their pets but perhaps that’s because we choose pets that look like us. My first labrador was a beautiful black girl called Inca. I took her to live in the Outer Hebrides for a year, where I had great hopes to train her as a sheepdog. Alas, the only work she ever did was polishing off the compost. Did I mention labradors are rather hungry dogs? Possibly that’s the reason they are so easy to train. A labrador will do anything for food. Each year, the labrador tops the most popular breed polls around the world. In the US it has been voted the most popular dog for an uninterrupted quarter of a century. So what is it about the humble, simple lab that makes it so popular? Loyalty, companionship, work ethic, diligence, honesty, trust and love, for starters. Their biddability and ease of training makes them particularly attractive as working dogs. Beloved of gamekeepers, royalty and families alike, the lab is one of our most diverse dogs, capable of working in search and rescue, as a guide dog, a medical detection dog and even in the theatre of war. The labrador retriever merges Portugal, Newfoundland and Britain in its ancestry. In many ways it is the ultimate mutt. Portuguese and Spanish fishermen had been attracted to the remote Canadian island of Newfoundland for its rich harvest of cod, which was eventually offloaded and sold in Poole in Dorset. It was in that Canadian province that they came across the local St John’s dog. The first sightings in Britain of the “St John’s dog” or “Little Newfoundlander” were in the late 18th century. They had been brought back across the Atlantic aboard ships carrying dried and salted cod. One of the dogs in Robert Burns’ poem, The Twa Dogs (1786) by His hair, his size, his mouth, his lugs/Shew’d he was nane o’ Scotland’s dogs/But whelped some place far abroad,/Where sailors gang to fish for cod. Could this have been the labrador? 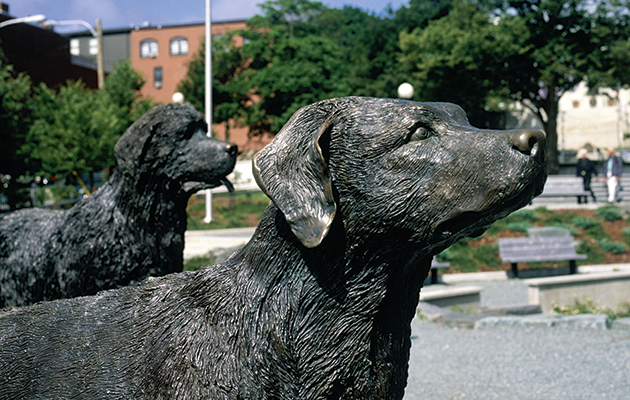 Statues of a Newfoundland and its labrador descendant in St John’s. These dogs were needed to guard the camps, to hunt game and kill rats and mice. They were enormously useful. Pure breeds taken on ships from the early 16th century onwards included mastiffs, bloodhounds, spaniels and terriers. It is probably fair to assume that there would have been a number of crossbreeds. Residents of Newfoundland kept no records of the dogs on the island so there aren’t many clues for breed enthusiasts to follow. In a footnote to his Variation of Animals and Plants under Domestication (1868), Charles Darwin states that the Newfoundland dog is believed to have originated from a cross between an Esquimaux dog and a large, black St Hubert hound. It seems amazing that one of the world’s most prolific swimming dogs came from some of the world’s coldest water. But perhaps that was the point. The people had to find an alternative to getting into the sea themselves. For the maturation of this type of dog into the labrador we have the second Earl of Malmesbury, owner of the Hurn estate in Dorset, to thank. A keen sportsman, he soon discovered these new dogs with their webbed feet were excellent at retrieving downed game from his flooded meadows. By coincidence, the fifth Duke of Buccleuch (1806–1884) and his brother Lord John Scott started importing dogs, via a Newfoundland fishing fleet that sailed into the River Clyde, to use as gundogs on the Queensberry estates in the Borders. They had also realised what an extraordinary dog the labrador was and established a kennel around 1835. 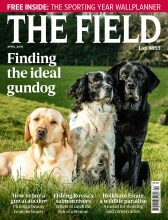 How did the labrador get from being a specialist wildfowl retriever prized by a small elite in Britain to being the world’s most popular domestic dog? The answer begins with another milestone in history: the rapid development of the breechloading gun in the 19th century.  Before then, the muzzle-loader suited shooting over dogs and flushing, pointing and setting breeds. But the breechloaders, with their far quicker loading time, ushered in the era of driven shooting and much bigger bags. And labradors were the only dogs could that could keep up with the guns. Happily, the breed survived due to stroke of luck. 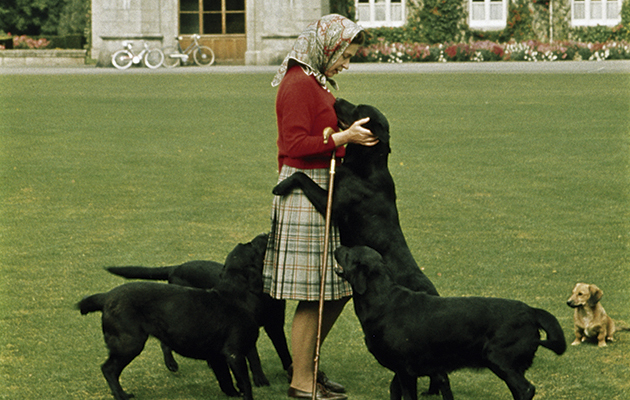 HM The Queen with her dogs on the lawn in front of Balmoral Castle during the Royal Family’s annual summer holiday in September 1971. According to records, in 1871, the Earl of Malmesbury’s neighbour, Major Radcliffe – who had patrolled Poole Harbour with the earl admiring the fishermen’s sea dogs – imported a dog direct from Newfoundland. He was called Turk and would go on to sire the line that included Ben of Hyde, the first yellow lab to be registered. By the early 1880s the original Buccleuch strain had died out, just five or six decades on from the original purchases from the fishermen on the Clyde. This could well have signalled the end of the Scottish lineage of the labrador retriever were it not for the sixth Earl of Malmesbury who “gave them a pair, descended from our own imported dogs”. It is probably fair to say that a chance meeting between the third Earl of Malmesbury (at the age of 75) with the sixth Duke of Buccleuch (1831–1914) and the 12th Earl of Home (1834–1918) saved the labrador from extinction. While visiting a sick aunt on the south coast of England the two Scotsmen accepted an invitation to shoot wildfowl at Hurn. The labrador has come a long way since then. While remaining a top shooting dog, it is quietly guiding all of us, from ordinary families to those treading the corridors of power. Labs are privy to secrets, gently, quietly steering decision-making like hairy, four-legged guardian angels. My lovely labrador Inca accompanied me everywhere. 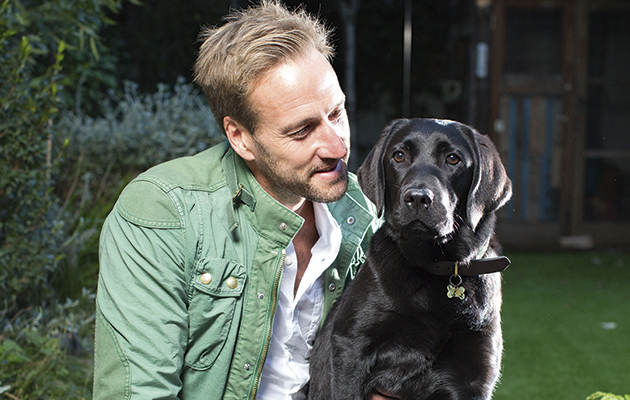 We did photo shoots together, chat shows – Ben Fogle and Inca. We co-presented Crufts, Countryfile and even One Man and His Dog. But perhaps her greatest coup was finding me a wife; we bumped into her while walking in the park (she had a chocolate labrador). The writer, Ben Fogle, with his labrador Storm. But, of course, the harsh, brutal, heartbreaking reality of having a dog is that we will inevitably outlive our beloved hound. Losing Inca was like losing a limb. She’d had a good life. She lived to 13. I cried for a week. I suffered panic attacks. Only those who have loved a dog will understand the grief. We scattered her ashes in the park and she has a small sapling dedicated to her, Inca’s Tree. I hang a Bonio biscuit from it on her birthday. “Don’t cry because it’s over, smile because it happened,” said Dr Seuss. You never replace a dog. You move on and open a new doggy chapter. I’ll never forget the joy and happiness on Marina and the children’s faces as we sat clutching armfuls of yellow and black labradors from a litter. Marina and the children chose a little black girl we named Storm. A little like her name suggests, she blew into our lives like a tornado. The children love her. When I see my son lying down next to her I get flashbacks to my own childhood. Now, just like Inca, Storm has started joining me as I work. Her life is a long way from those of her ancestors who worked those nets off Newfoundland 250 years ago, but her role will be just as crucial and life-changing. Labrador: the story of the world’s favourite dog by Ben Fogle is published by William Collins, £20.